Permits have been filed for a four-story residential building at 254 East 28th Street, on the border of East Flatbush and Flatbush-Ditmas Park, Brooklyn. The site is three blocks away from the Beverly Road Subway Station, serviced by the 2 and 5 trains. Twin Group Associates is behind the applications. The 53-foot tall structure will yield 10,300 square feet, with 8,790 square feet dedicated to residential use. 10 apartments will be created, averaging 880 square feet apiece, indicating rentals. Residents will have access to a laundry room and storage. Design Studio Associates will be responsible for the design. Demolition permits for the existing three-story structure were filed early last month. The estimated completion date has not been announced. 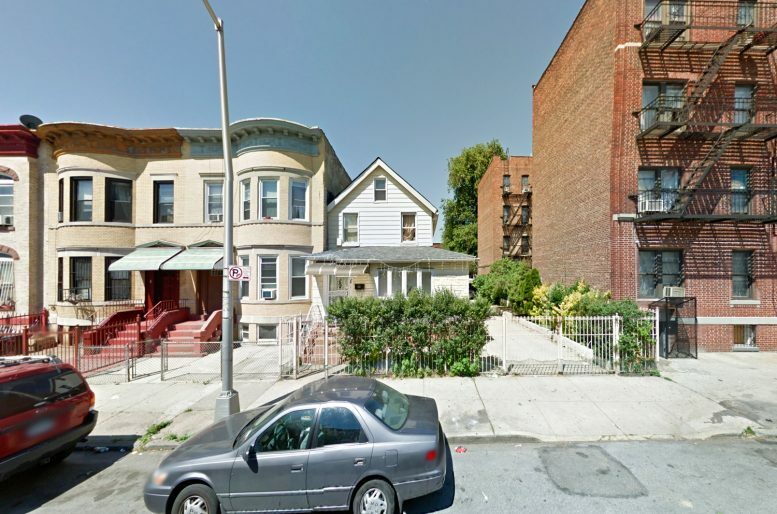 4 Comments on "Permits Filed for 254 East 28th Street, East Flatbush, Brooklyn"
East Flatbush begins at New York Ave. and runs east from there – this is the border of Ditmas and Flatbush. These are the city guidelines and are even reflected in Google Maps. The area in question neither borders East Flatbush or Ditmas Park. At this point it’s neighborhood that remains to be named in Flatbush as far as the real estate guys are concerned. Historically, this area was developed as Vandeveer Park in 1892, the first Victorian Home community. However, this development by the Germania Company did not have new zoning rules devised later in 1898 by Dean Alvord the founder of Prospect Park South and therefore it did not resist subsequent redevelopment. The Vandeveer Park name fell into disuse for the area after the Vandeveer Estates housing projects were created on Foster Rd in 1950 under the auspices of Robert Moses. I checked the Google Map in regards to the comment above’s claim that East Flatbush begins at NY Ave. It’s rather odd because East Flatbush isn’t one neighborhood just as Western Flatbush is a town composed of many small neigborhoods. Wingate, Remsen Village, and Farragut are some of the place names that I can recall from my childhood that belong in that that massive block. In regards to the average resident, most who live on the East of Flatbush Ave around this area regard it as East Flatbush as that is the name which replaced Vandeveer Park. Most who live adjacent to this area on the west side if they live in the victorian neighborhood either claim that they live in Ditmas Park or the specific neighborhood, South Midwood. Long standing residents in the apartment buildings on the western side of Flatbush, typically claim to live in Flatbush whereas new arrivals tend to strictly use the Ditmas Park or the even newer Flatbush-Ditmas Park. The apartment buildings on the west side are actually in an area that has had no neighborhood place name. As the stretches along FLatbush and the area between Foster and Newkirk that separate the Midwoods from the Ditmas Parks and Squares are zoned R4-7 which reflects the fact that they weren’t zoned as the remaining neighborhoods were and still remain. That is why despite not all the neighborhoods having been given landmark status they still sport R1-3x classifications. The homewowner associations that correspond to each neighborhood also do not recognize these areas formally as they do not draw members from residents of the unincorporated stretches. It’s silly how people consider Google maps to be the authority on neighborhood borders.